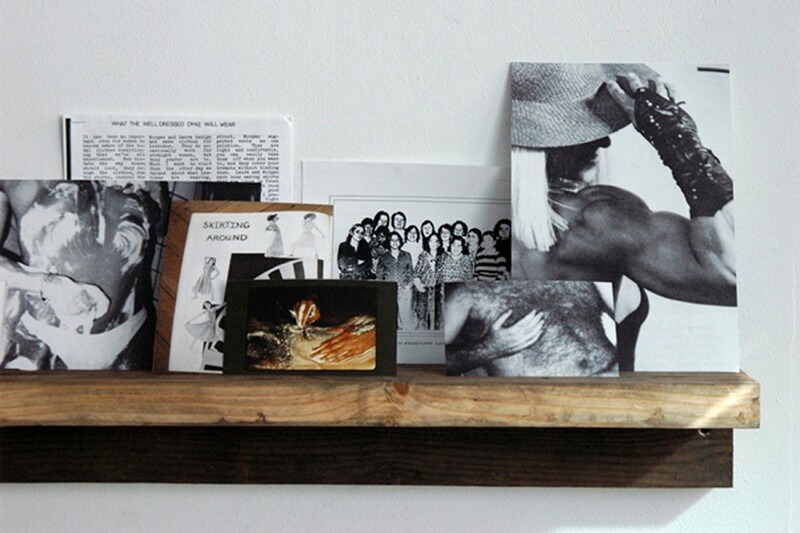 The Brown Bear intentionally conflates the hair and art salon as a site for public engagement. During a two-month residency at Recess, NY, Hubbard and Burns offered free haircuts, cut in tandem without the aid of mirrors or visual references. The Brown Bear is an exploration of ‘queer’ being, how it is formed, affirmed and develops into cultural signifiers. The walls were lined with slotted shelves that held archival material about hair and esthetics collected from national LGBT archives. A wall ran diagonally, triangulating the space and creating a wedge that was installed with mirrors. 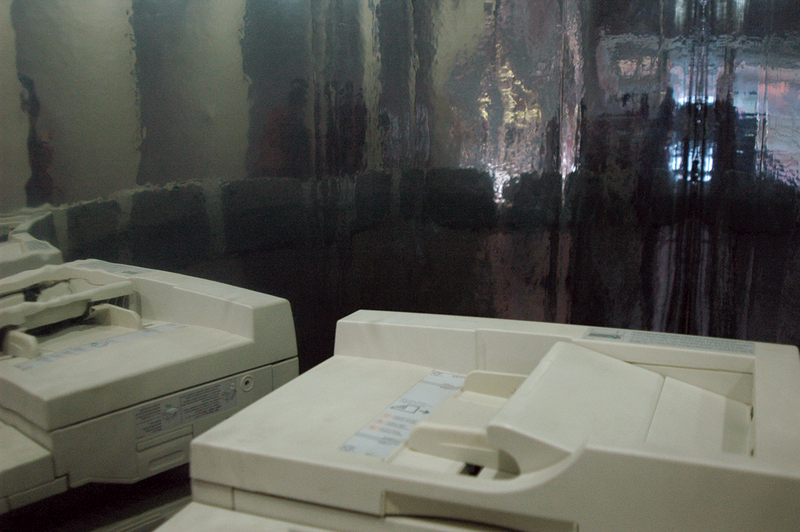 In the mirror wedge was a xerox machine that could be used to copy materials from the archive. 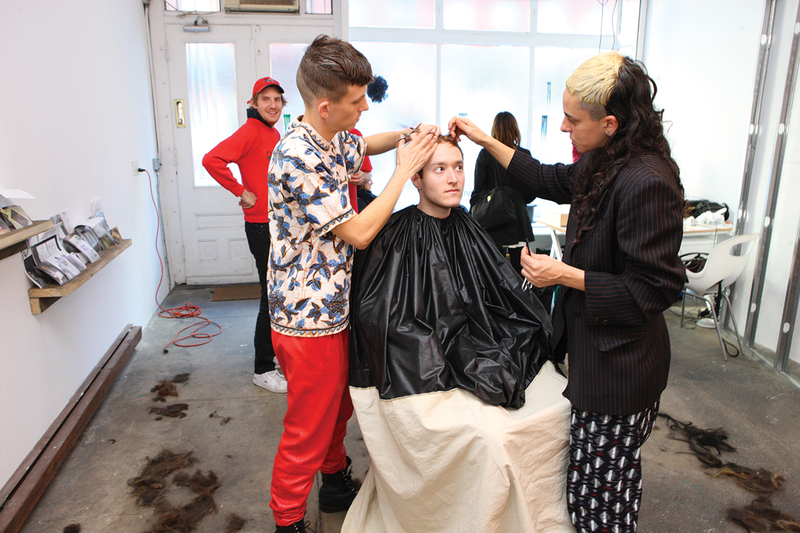 Every Saturday, artists were invited to join Burns and Hubbard as they cut Hair for a daylong performances. 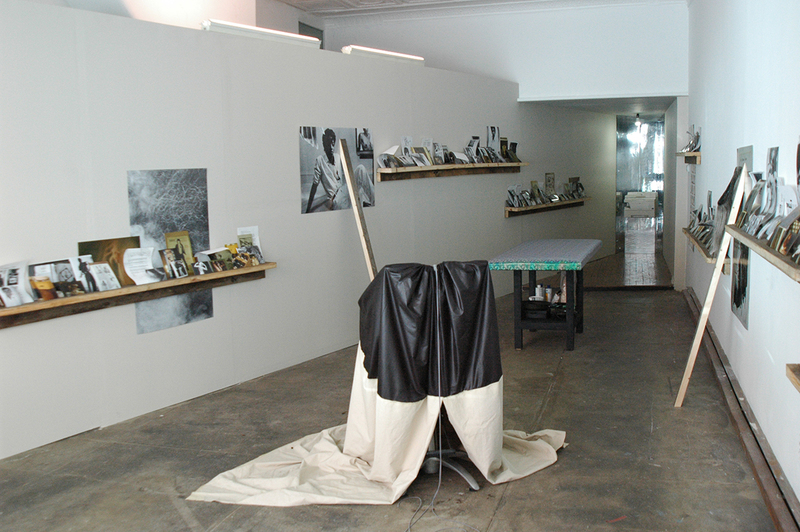 The contributing artists were asked to create work that did not privilege sight; such as sound, poetry, food, and scent. 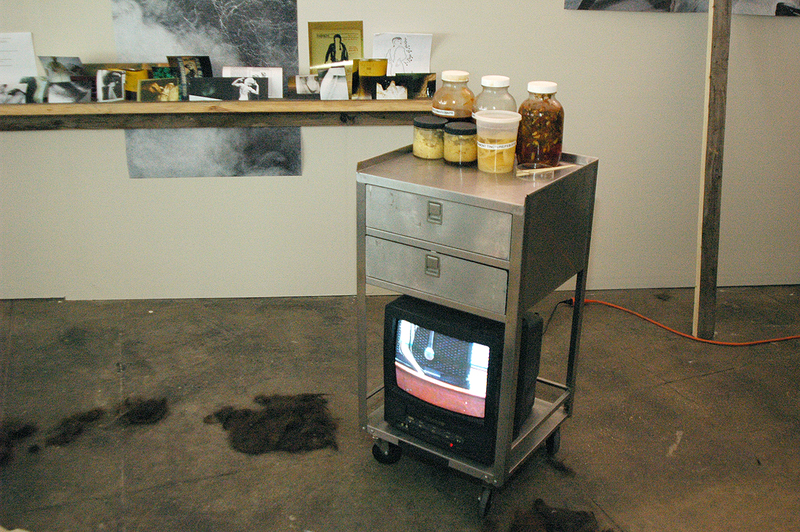 Installation view of the The Brown Bear: Neither Particular nor General, 2010 at Recess, NY. 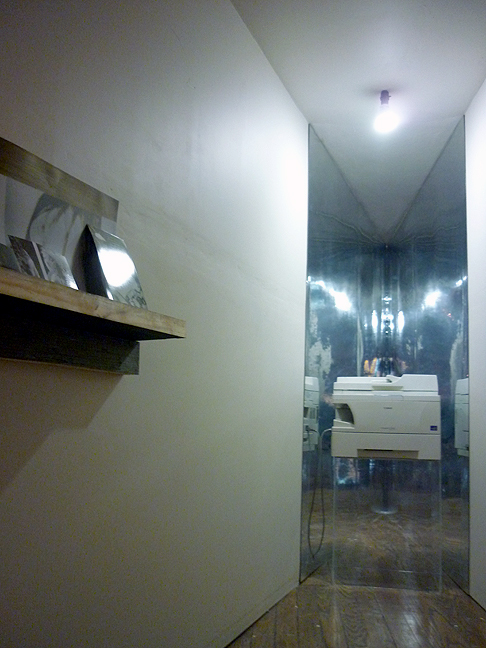 Installation detail of xerox machine infinitely reflected in mirror wedge. 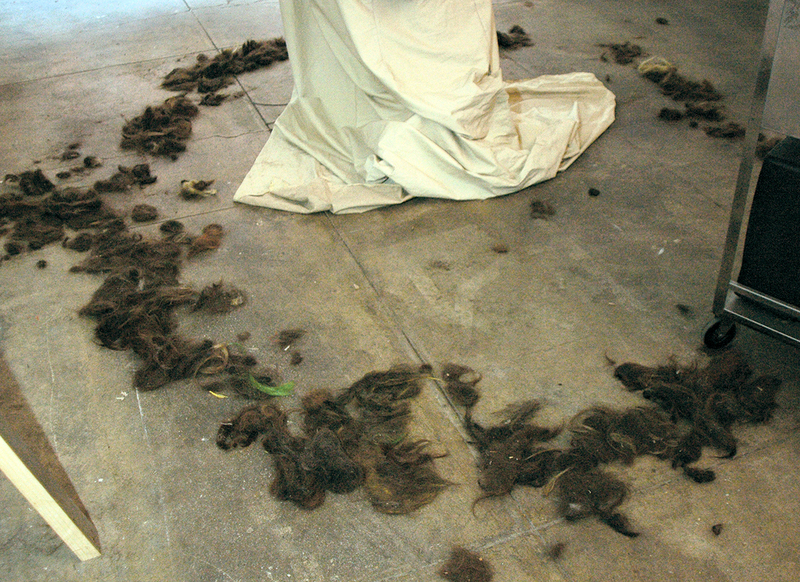 Installation detail of hair that accumulated over the weeks of the project. Detail of installation with video of MPA’s performance running on the monitor. Burns & Hubbard cutting hair during Saturday Salon with Sergei Tcherepnins’ sound massage.